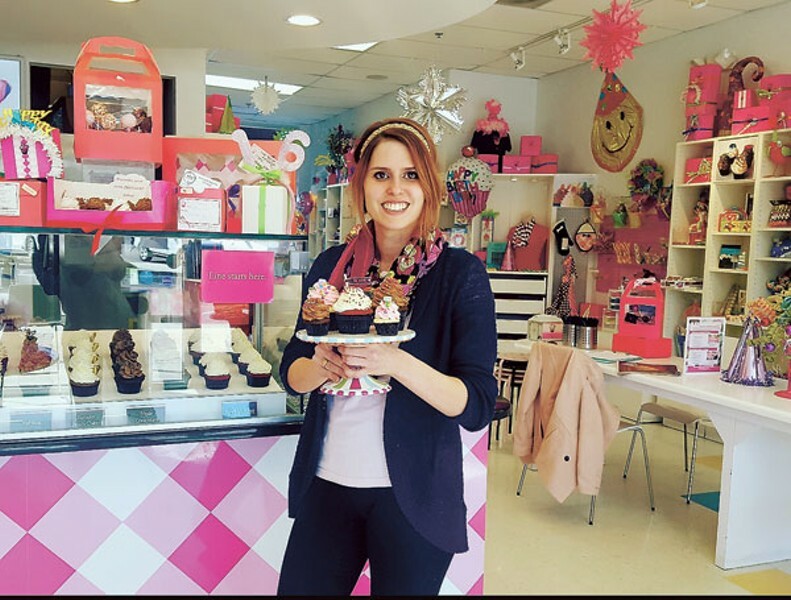 SAS Cupcakes began with a vision created by the original owners who resided in Newark, Delaware. They were not bakers themselves, but wanted to start something fun in the area. That vision blossomed when they moved to the Charlotte area, where they opened two locations — in Blakeney and RiverGate. By this point, SAS had already become an in-demand cupcake shipping company. There's even the option for guaranteed delivery within two days without a sprinkle out of place. SAS has shipped 43,000 cupcakes nationwide to Victoria's Secret stores. Keeping that in mind, there doesn't seem to be a number that scares them. If you need 10 dozen cupcakes on an operating day, the answer will most likely be "yes." Kaitlyn Carfagno, the current owner and general manager, started working with the company six years ago and bought it from the original owners one year ago. "I'm still here every day putting 100 percent in because it needs someone who will be there and just love it," Carfagno says. Food Network's Road Tasted by the Neelys aired an episode about the original location in Newark and SAS has also been asked to appear on shows like Cupcake Wars and The Sweet Genius since then. SAS declined because they felt the shows were less about taste and more about presentation — not that their sweet treats don't look pretty. With Valentine's Day approaching, SAS is ready. They'll be offering a special strawberry champagne cupcake that's available to be hand delivered the entire week of V-Day. "It's just going the extra mile to make it extra special for that person you love," Carfagno says. "We always suggest you SAS your sweetie." Creative Loafing: Does the shop host any local events for the community? Kaitlyn Carfagno: We love kids and I have children of my own. We have story time with the kids. It's just $5 per child and we read them a fun story and let them frost their own cupcakes. We also have birthday parties for children and even adults, and we try to do themes. We teach them how to make cupcakes and even cake pops, which many people don't know how to make. On Jan. 30, from 10 a.m. to 12 p.m. at our Blakeney location, we are partnering with Fun for Charlotte Kids to have an event where all the kids who show up to learn to frost their own cupcakes for free. We will also have 10 percent off that day. What are your most popular cupcakes? Right now our tiramisu cupcake is really popular, which is the special one we bring out in January. We have people coming in right when the doors open to get them and we sell out fast and have to make more. We also have a new flavor offered on Tuesdays and Thursdays and right now that's the salted caramel chocolate. We also offer the popular cake pops seven days a week. We always bake fresh every day and are coming up with new flavors all the time. What do you enjoy most about working with this company? I love the customer relationships. I love getting to meet the people that come in and making their day extra sweet. People don't always come in for the happiest occasions, such as birthdays or weddings. Someone might be sick or having a bad day and they come to us because they know we can help. People tell us their stories all the time and I love meeting those people and gaining repeat customers who fall in love with the face behind the counter.